Special Ability: Distort - At the start of your turn, instead of an MP move, this Pokémon may move through an adjacent Pokémon to a point 1-2 steps away from that Pokémon. When it does, this Pokémon may change its form. 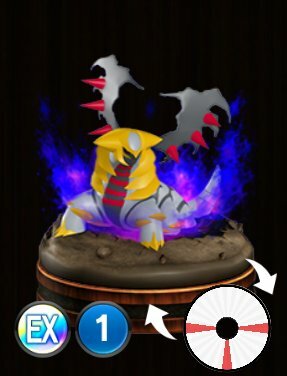 If it changes its form, until the end of your next turn, any effects of its battle opponent's ability that would increase Attack damage, decrease that damage instead. Your turn ends.